Convenient to wear quickly, this bib is designed with a teddy applique to attract your little one. 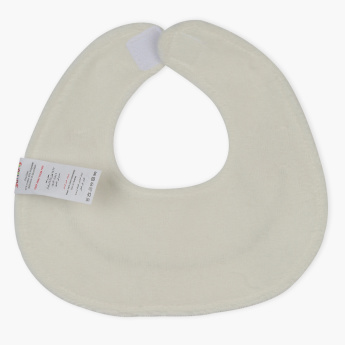 This bib helps prevent your little one's clothes from any spills or stains. Made of a soft fabric, it is easy on your baby's skin.